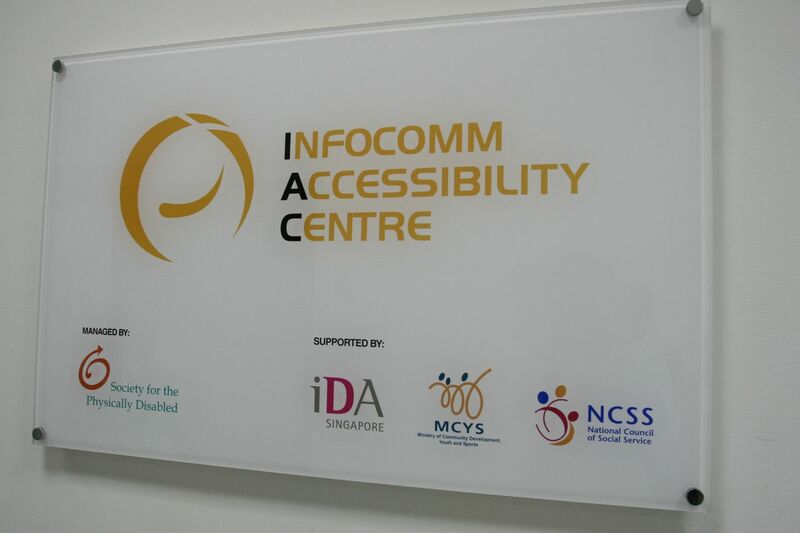 Have you heard of the Infocomm Accessibility Centre (IAC) ? What is IAC ? What do they do ? When I was invited by 24seven to visit the IAC, it got me excited to be back involved again and something very meaningful too! Before joining them on the IAC Tour on 2nd June 2010, I went to their webpage to understand more about what they do. Indeed, it was an eye-opener for me and something that I could relate a bit towards, being physically disabled for about 2 months due to injures. Met Diana, Claudia, Kris and a few other bloggers, we met at 2 Peng Nguan Street, SPD Ability Centre, whereby we were brought to a tour of the IAC by Royson Poh, Assistant Director-Vocational Training Division. Upon entering the lecture and training rooms/facilities, the first impression was – it’s just like any other IT training facility centre EXCEPT the spaces and computers are designed and catered for people with different types of disabilities. Not only were there IT computers only, there were training rooms for music and video creation too ! Moving up to the Assistive Technology Loan Library, we were given an experiential and enriching experience and greater understanding on how IT equipment can be transformed to suit people of different disabilities and how simple soft toys can be a great joy for disabled people. We all took the opportunity to test some of the equipment out there and it was very enlightening for us, that simple things we abled people take for granted doing, the disabled people had more difficulties and challenges doing them and without the IT equipment and technology designed for them, they would struggle a lot. Do you know you can join in the tours to visit IAC too ? To sign up for the IAC Tours – Sign Up here http://pea.to/iactour ! I strongly encourage all of you to go join the tour and take a look thus having a greater understanding on how IT is able to help disabled people and help to spread the word, if you know somebody with disability , help them to Grow ! Stay tuned here for more updates ! Informative- I think this is the best word that best describe this article. It shares a lot of latest information about Information Technology. This is really great.